I began my writing journey as one of Karen Whitelaw’s creative writing students and am still benefiting from her knowledge, experience and special skills as a teacher. I’d like to second her promotion of the Newcastle Writers Festival and especially the free session The Next Level: How to take your writing from hobby to publication. The OPENING NIGHT EVENT is hosted by Caroline Baum. Helen Garner, Jessica Rudd and Michael Robotham will talk about the fascinating topic The Book that Changed Me. This already has me trying to decide which book I’d pick. 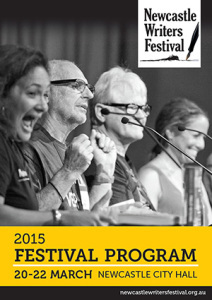 The full programme is online at Newcastle Writers Festival.